Solar Power: Energy Source of the Future? And they are not the only ones who think that solar power is the energy source to watch: finance giant Morgan Stanley has been saying it for the past year, and Elon Musk—the man behind Tesla, PayPal, and SpaceX, and the chairman of rising star, SolarCity—has declared that “solar power will be the single largest source of electricity generation by the mid-point of the century." And indeed, it is in large part thanks to Musk and his associates, Lyndon and Peter Rive, running SolarCity that this energy revolution is a tangible possibility. The company, founded in 2006 and already known for its innovative strategies in the solar installation and financing sectors, took its next big step this June, when it bought panel manufacturing firm Silevo. Silevo, a former small-scale producer, makes solar panels that are 18.5% efficient at converting sunlight to energy, while the average commercial panel operates with between 11% and 15% efficiency. This is a bold move on SolarCity’s part. The last year has been a tumultuous one in the solar manufacturing sphere, with cheap Chinese panels shutting down a lot of competitors and some significant intra-industry shifts taking place as a result. But SolarCity is laying down money that can provide solar power at even more competitive technology levels and prices. In fact, very recently it broke ground on a factory in New York state which will produce panels at rates which rival those of the biggest existing factory (currently in China). If successful, SolarCity will not only have a technological edge, but will have achieved a very high level of vertical integration. The company will handle manufacturing, financing, installation, maintenance, and more—almost the full cycle of the solar power process. This move to consolidate its supply chain, said Musk, will “have a dramatic impact on solar and in particular be able to have solar power compete on an unsubsidized basis with the fossilized grid.” SolarCity’s strategy is “to combine what we believe is fundamentally the best photovoltaic technology with massive economies of scale to achieve a breakthrough in the cost of solar power.” In simple terms, produce so many high-efficiency panels that each individual panel becomes cheaper and pays for itself faster. But what about nighttime? Or cloudy days, shadows, pranksters covering your solar panels with a tarp, et cetera? One of solar’s biggest problems is that there are times when the sun doesn’t shine, and unless you want your wi-fi to rely on the forecast you’re going to need another power source. The industry has been wrestling with this issue for years, but it may be Mr. Musk and SolarCity who are the closest to solving it—though solar company SunPower and some others also have projects in the works. In an effort to cut costs on its electric car battery manufacturing, Musk’s Tesla Motors company is building what has been dubbed a “Gigafactory,” in which it will manufacture high-capacity batteries for its cars and for SolarCity to use as solar storage units. SolarCity already offers residential battery backup systems for houses (currently in California only) equipped with solar panels, but it is not a comprehensive power solution—just temporary power in the event of a grid outage, though it can also provide extra energy during peak use hours. However, this September Musk announced that within five to ten years, every set of solar panels sold by SolarCity would come with a battery pack that would at least partially offset the intermittency issue. Earlier this year, Musk described the likely final form of the product as “something really flat… coming just five inches off the wall, a beautiful cover, integrated bidirectional inverter, and it’s just plug and play.” SolarCity is aiming to create a solar solution that makes harnessing the power of the sun as easy as plugging in and switching on. As SolarCity’s management pointed out above, solar has been successful so far partly because government subsidies offset the high upfront costs to consumers. But to be a truly viable source, solar needs to stand on its own—and the UBS report says that it soon will. Material and installation costs have been decreasing steadily since the 1970s, and the savings have accelerated in recent years to the point where they will soon be competitive with traditional power sources. Could the grand dreams of its pioneers really result in solar energy providing 50% or more of the world’s electricity by 2050? Even SolarCity admits that currently “solar power is not our first choice when it comes to meeting the base load energy demand.” However, despite its issues with intermittency and cost, solar is one of the most rapidly growing alternative energy sources, with more new installations in 2013 and 2014 than everything but natural gas and coal. 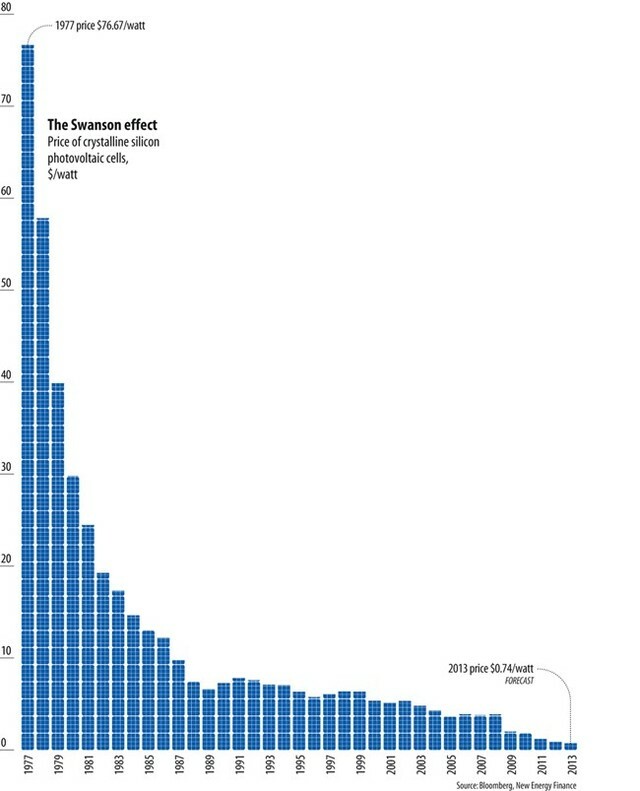 The short answer, then, is yes: solar has dramatic possibilities. The main issues all have solutions, and to many it is merely a matter of time before those solutions take off. Intermittency? Batteries are in the works. Some countries don’t get enough sun? Germany, a stereotypically cloudy Northern European country (compared to Alaska), currently has a greater solar capacity than anywhere else in the world, and British scientists have invented a solar panel that actually works better on cloudy days. High cost? As we have seen, expense is decreasing by the year. While it is still too early to say for certain whether or not solar will be the energy source of the future, or whether UBS is right and solar will be widely available by 2025, the evidence seems to point to a marked disruption in the energy sector within the next decade, and solar power looks like it will come out on top. With the spurt of activity and innovation we have seen in the past year, and the sheer amount of effort being invested in developing solar, the possibility of the earth harvesting a significant amount of its energy from the sun is looking more real every day. 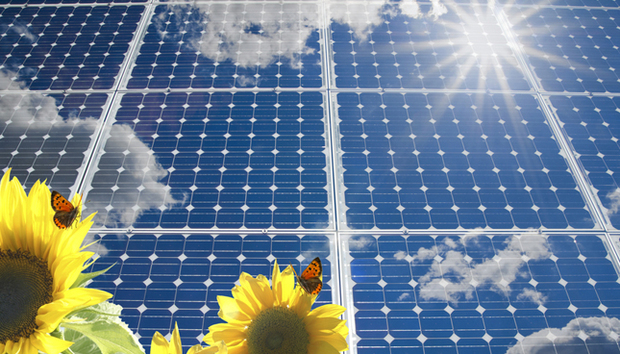 Find out more about harnessing solar energy at the Solar Action Alliance page.